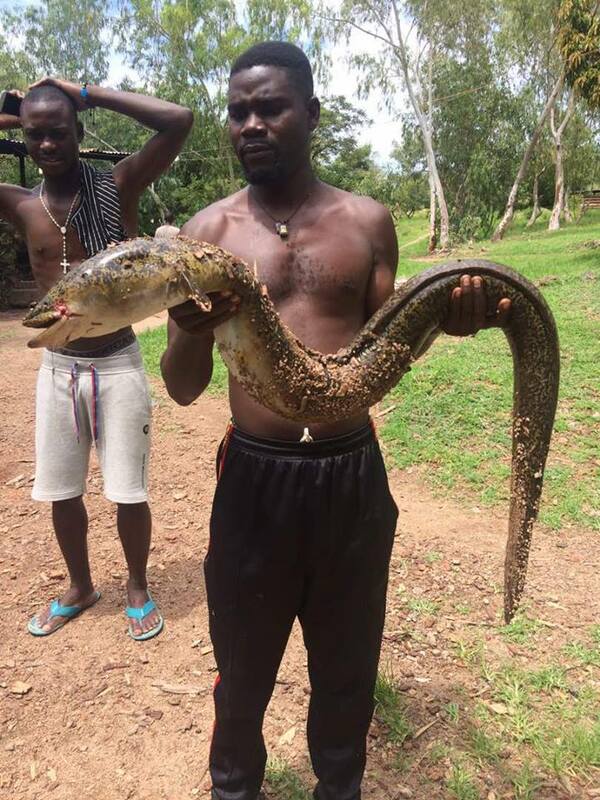 Just 9 months after a rare fish called Mkunga was discovered on Lake Malawi, another Mkunga fish has been found and pictures are making rounds on social media. 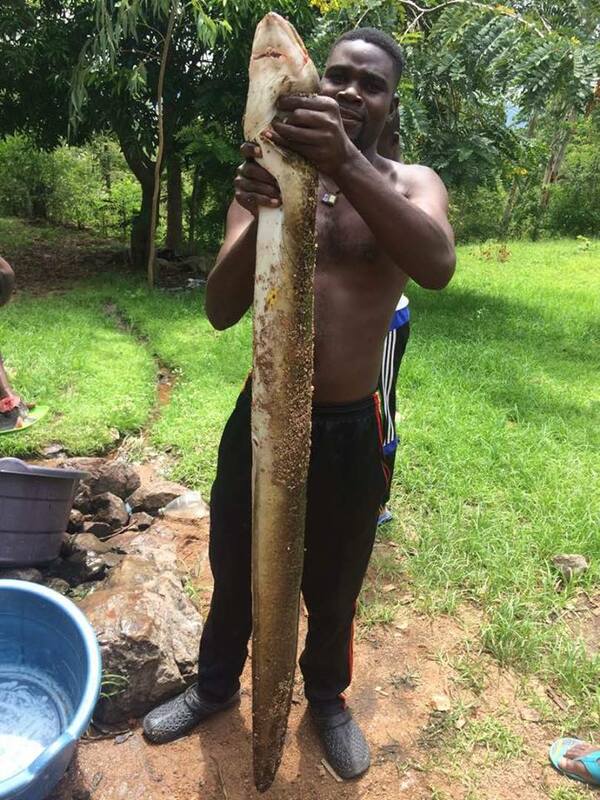 According to reports, the Mkunga fish which is also known as Mnjolo can measure up to 1.7 metres and weighs over 20kg`s if put on a scale. The fish is among 700 rare species of fish that are found on Lake Malawi. 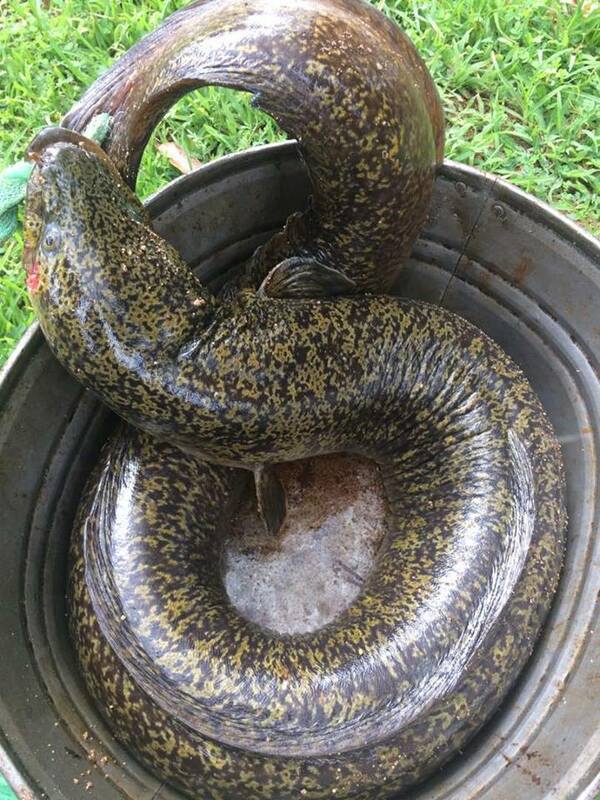 Mkunga fish resembles exactly as a snake in a way that it can possibly be mistaken for a snake. Sources say the name Mkunga is taken from Yao language. Just like Bombe fish, Mkunga is said to be a delicious fish but can have side effects to people whose skin is allergic to some foods. This comes in after another Mkunga fish was caught on the beautiful Lake Malawi just last year.